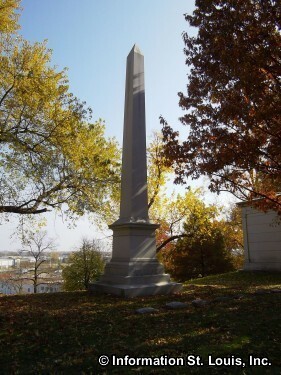 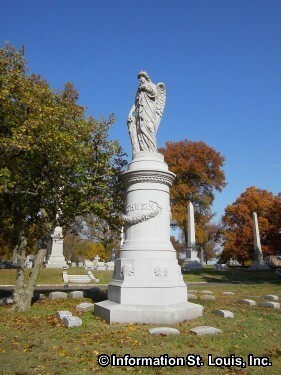 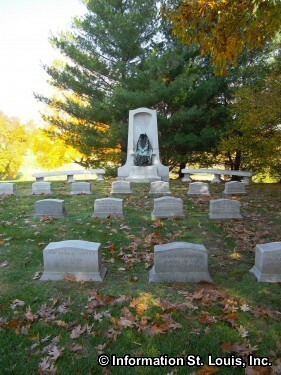 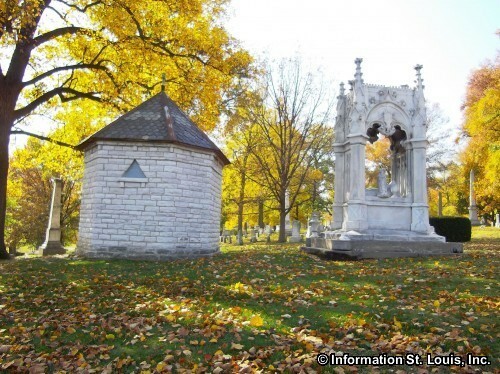 Bellefontaine Cemetery has many historically important people interred within its beautiful and peaceful 314 acres. 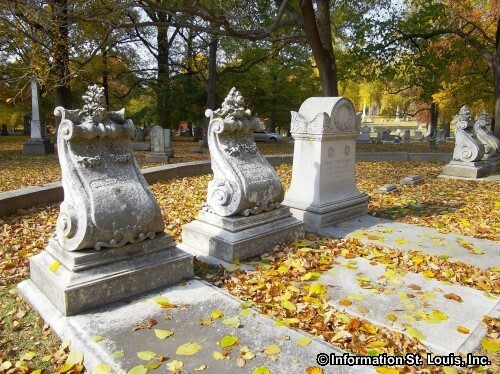 Some of those buried there are Adolphus Busch, of the famed Anheuser-Busch beer brewery, William Clark, famous explorer of the Lewis and Clark Expedition, James Eads, who designed the St Louis Eads Bridge, Susan E. Blow, started the first public Kindergarten in the United States, James S. McDonnell, of the McDonnell-Douglas Corporation, Thomas C. Fletcher, 18th Governor of Missouri, Edward Mallinckrodt, founder of the Mallinckrodt Pharmaceuticals Company and many more. 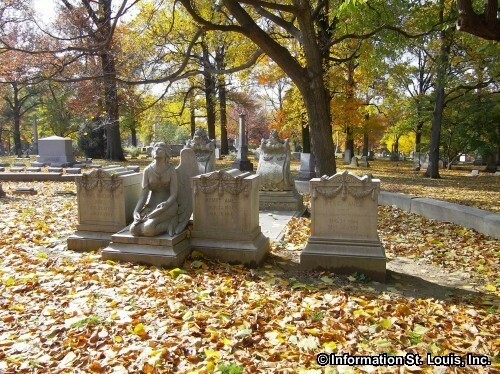 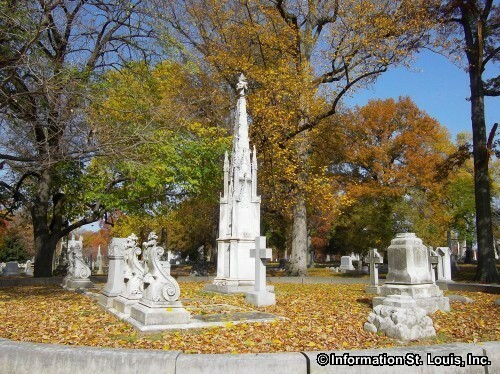 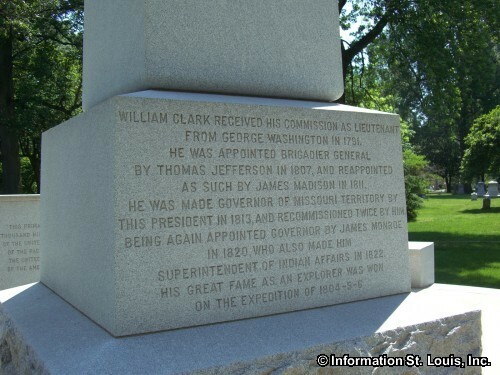 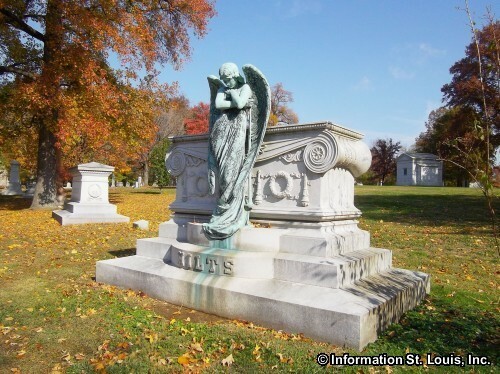 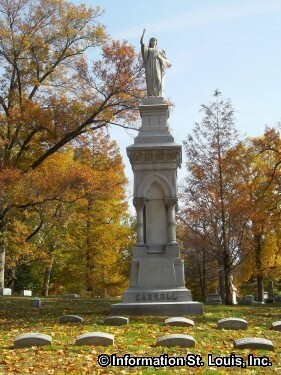 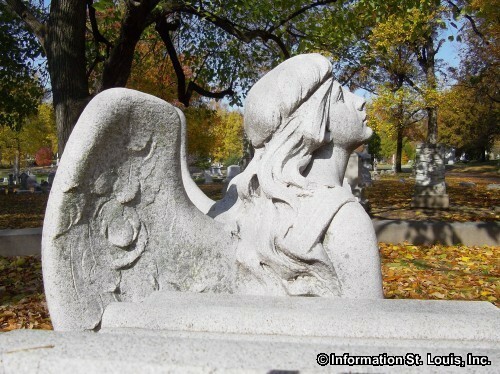 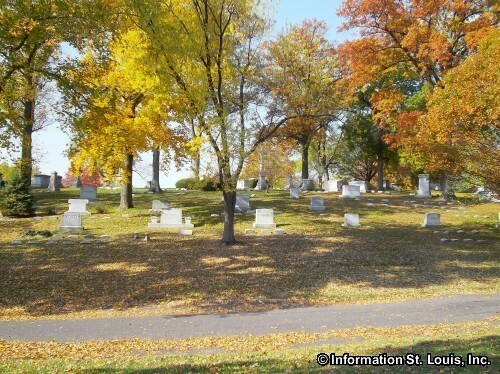 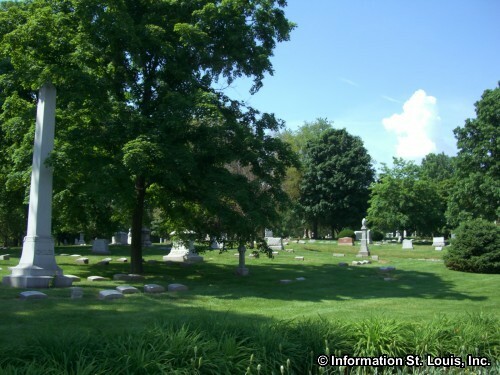 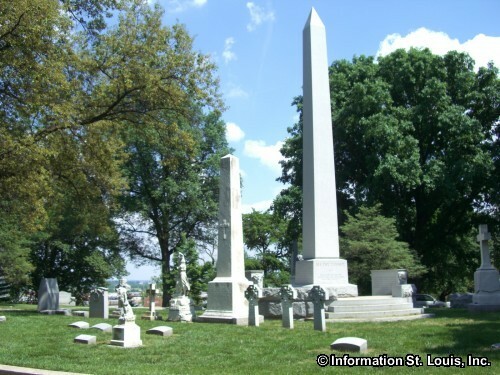 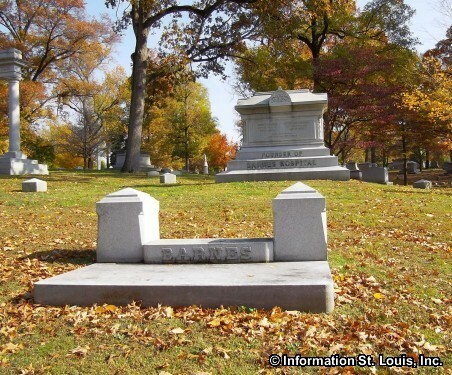 The cemetery was started in 1849 by a group of prominent men from the city of St. Louis who recognized that the city was expanding and the existing cemeteries were located in its path. 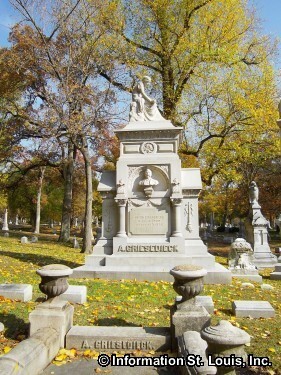 Almerin Hotchkiss, an associate of Frederick Law Olmsted who designed New York's Central Park, was hired to design the layout of the cemetery and he was the Superintendent for 46 years. 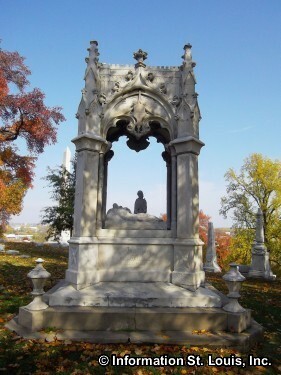 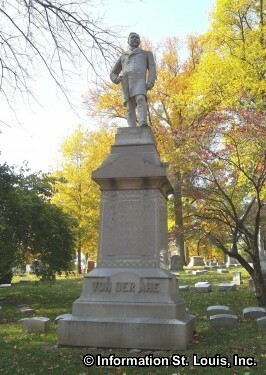 What the cemetery looks like today is due largely to his work. 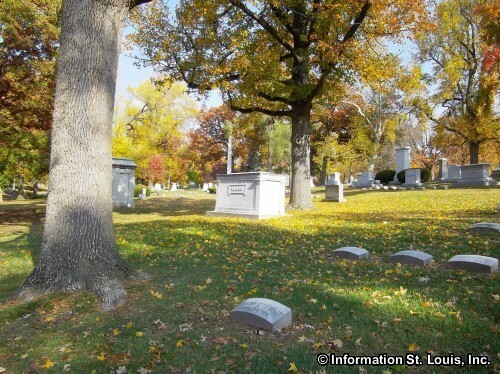 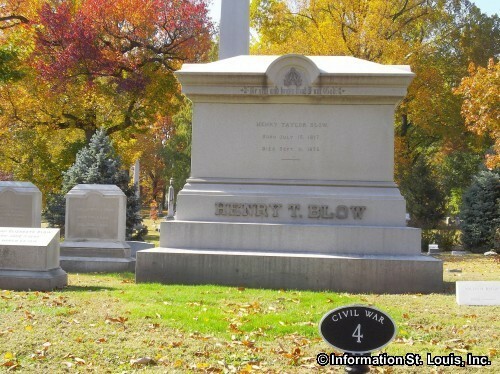 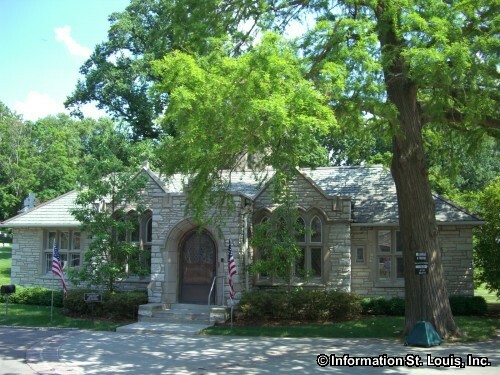 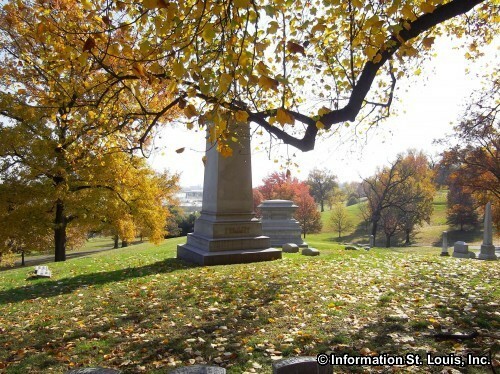 Hotchkiss became friends with Henry Shaw and with his help, the cemetery is now noted to have one of the finest collections of trees in the St. Louis area. 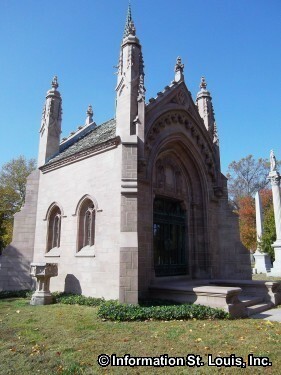 Amazing examples of architecture and cemetery art can also be found at Bellefontaine Cemetery. 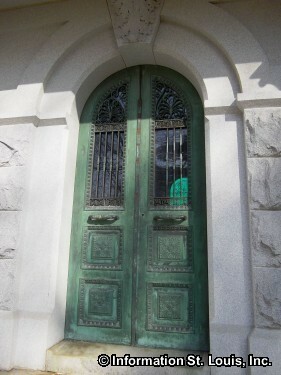 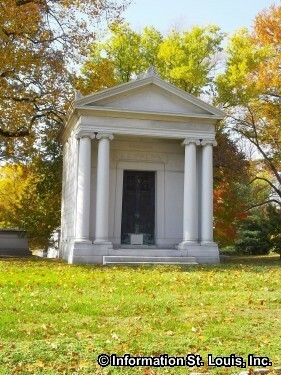 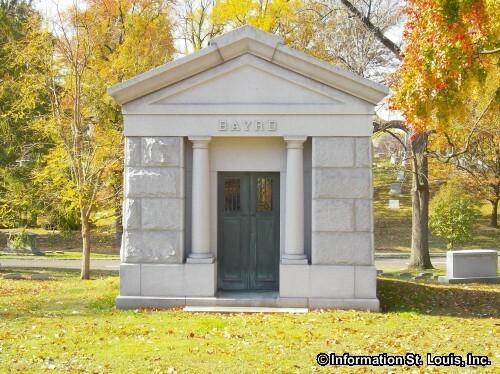 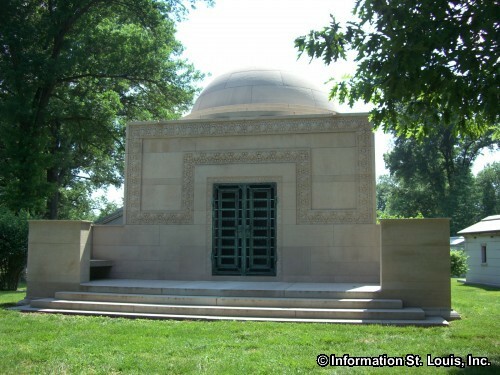 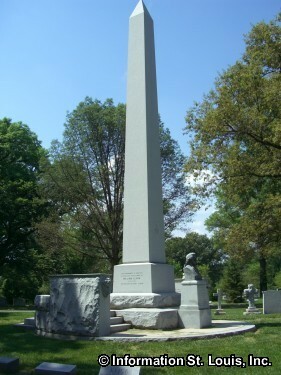 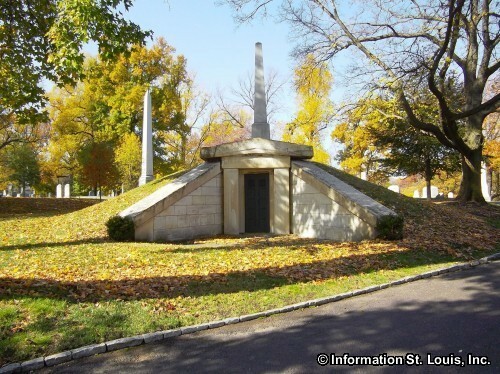 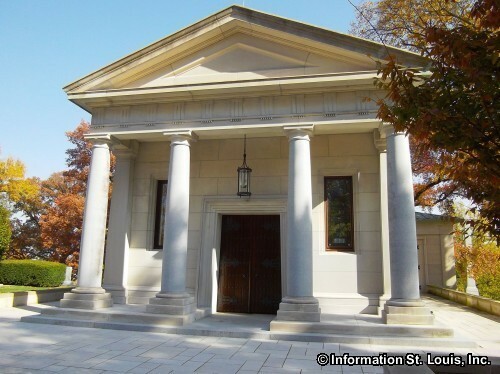 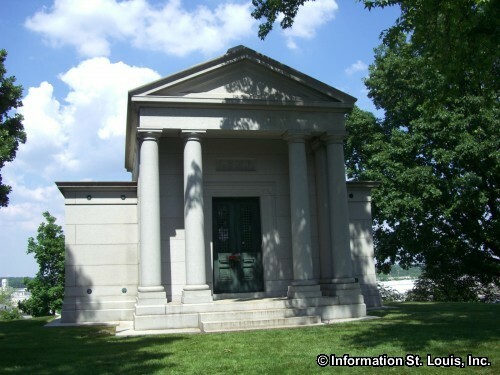 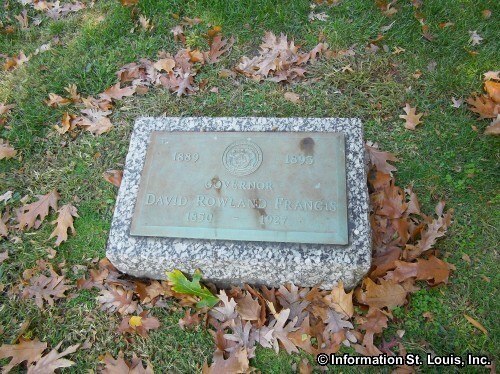 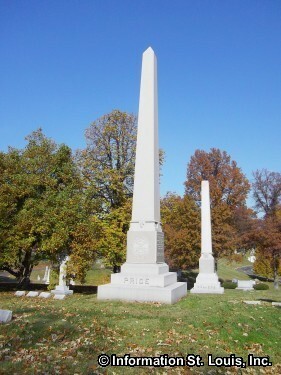 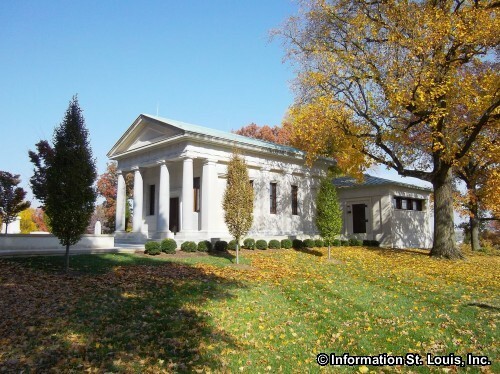 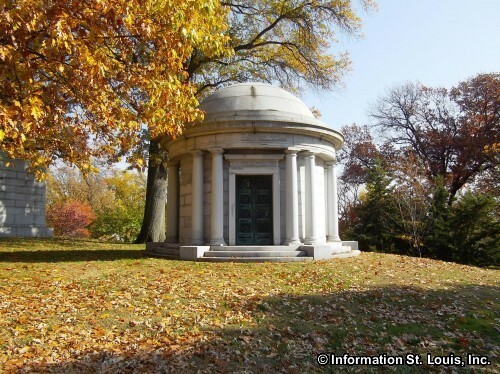 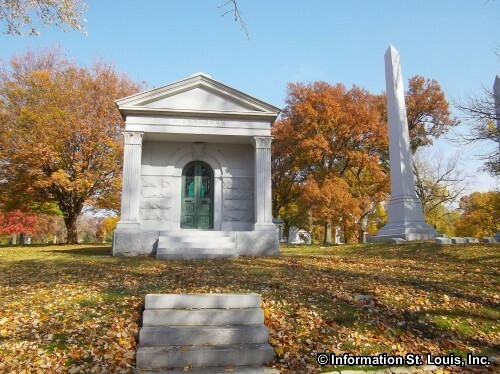 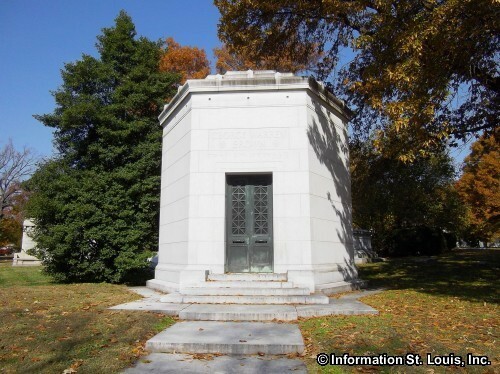 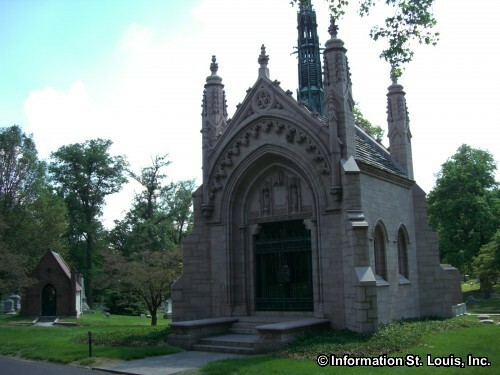 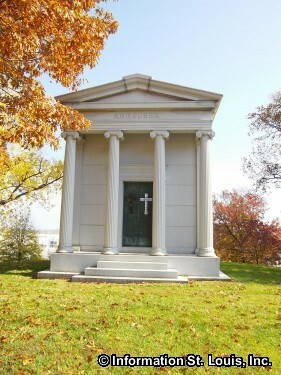 Of note is the Wainwright Tomb, designated as a St. Louis City Landmark and on the National Register of Historic Places. 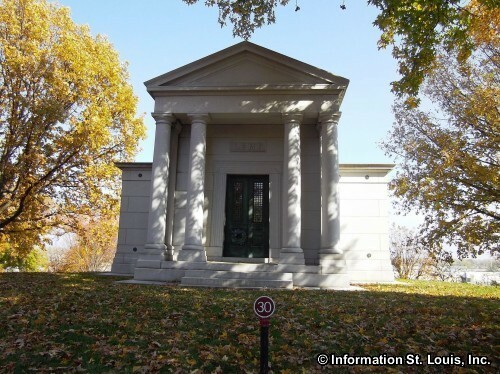 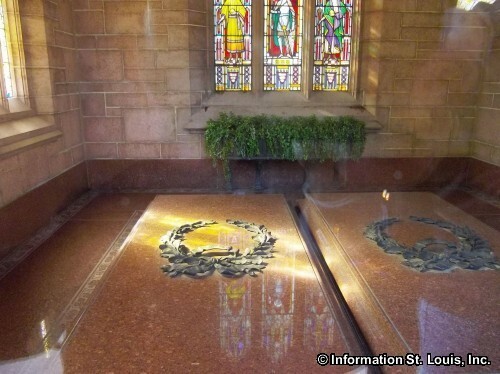 Buried inside are St. Louis millionaire and beer brewer, Ellis Wainwright and his wife Charlotte. 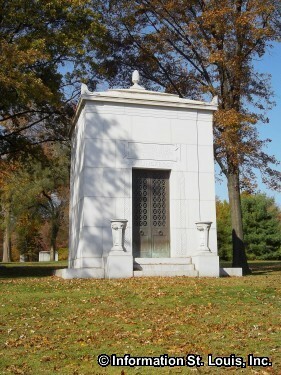 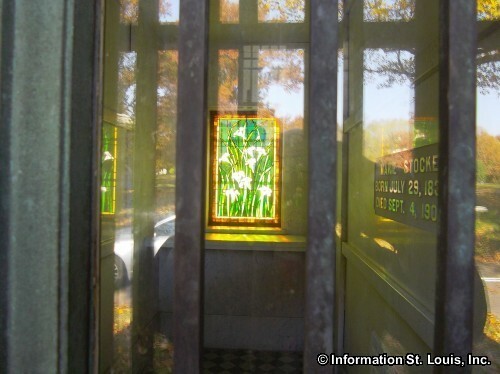 The tomb was designed by Louis Sullivan, the same architect who designed the St. Louis Wainwright Building, the first modern skyscraper in the world.